MJS Commodities is committed to providing three-dimensional solutions that benefit the world: economic, social and environmental. Jute is the most environmental-friendly fibre starting from the seed to expired fibre, as the expired fibres can be recycled more than once. It is 100% biodegradable, good for the air, feeds the soil and all parts of the plant can be used. Unlike cotton which destroys the soil, Jute is a rain-fed crop with little need for fertiliser or pesticides and cultivating it in crop rotations enriches the fertility of the soil for the next crop. Yields are about 2 tonnes of dry jute fibre per hectare. Its UV protection, sound and heat insulation, low thermal conductivity, moderate moisture regain, antistatic properties and manufacture with no skin irritations give it high performance in technical textiles and raw materials for packaging, textiles, non-textile, construction, and agricultural sectors. 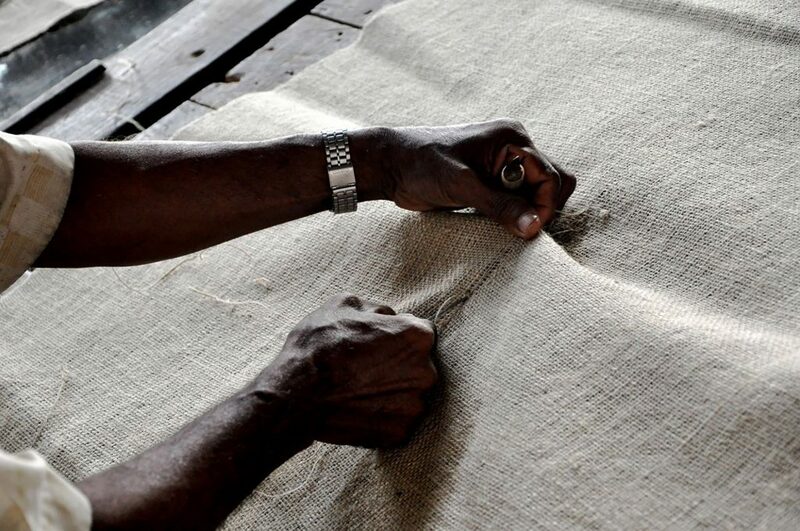 MJS Commodities Jute Products Division offers bespoke standard and hydrocarbon-free or VOT sacking for commodities, hessian cloths, jute yarns and twines per buyer’s requirements and specifications. We use the highest quality jute from the best source in the world – the Bengal Delta Plain in the Ganges Delta, most of which is occupied by Bangladesh, in manufacturing our jute products. Our jute bags are United Nations and International Jute Organisation certified.